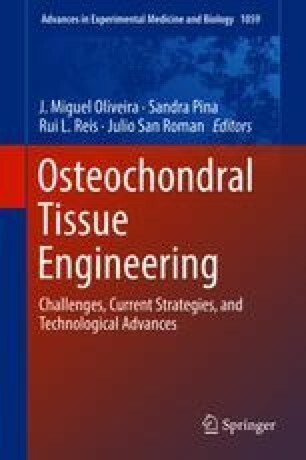 In recent times, the field of tissue engineering and regenerative medicine (TERM) has considerably increased the extent of therapeutic strategies for clinical application in orthopedics. However, TERM approaches have its rules and requirements, in the respect of the biologic response of each tissue and bioactive agents which need to be considered, respected, and subject of ongoing studies. Different medical devices/products have been prematurely available on the market and used in clinics with limited success. However, other therapeutics, when used in a serious and evidence-based approach, have achieved considerable success, considering the respect for solid expectations from doctors and patients (when properly informed). Orthobiologics has appeared as a recent technological trend in orthopedics. This includes the improvement or regeneration of different musculoskeletal tissues by means of using biomaterials (e.g., hyaluronic acid), stem cells, and growth factors (e.g., platelet-rich plasma). The potential symbiotic relationship between biologic therapies and surgery makes these strategies suitable to be used in one single intervention. However, herein, the recent clinical studies using hyaluronic acid (HA) in the treatment of orthopedic conditions will mainly be overviewed (e.g., osteochondral lesions, tendinopathies). The possibilities to combine different orthobiologic agents as TERM clinical strategies for treatment of orthopedic problems will also be briefly discussed.